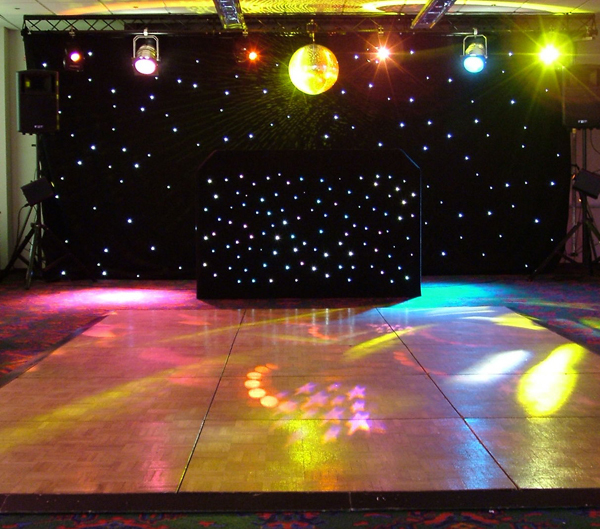 Tuxedo Class pride themselves on supplying the smartest most professional discotheques in London, Surrey, Sussex, Kent and the home counties. Kid Jenson, Dr Fox, Pat Sharp, Paul Burnett, Tony Blackburn and David Hamilton have all been guest DJs with Tuxedo Class Discotheque. The Tuxedo Class presenters all wear white or black tuxedos and use Star Cloth Booths to surround the equipment. Most booths have fibre optic lighting and a 20 foot x 10 foot star cloth adds the “wow” factor to your party. They also ask the clients to provide a list of their favourite tracks and play the music they want to hear at the right volume. The Tuxedo Class Discotheque has appeared: on Family Affairs for Thames Television; in the Top of the Pops celebrity bar; for the British Television Advertising Awards now for the past ten years at Grosvenor House and The Royal Lancaster Hotels; in Austria at the Inter Alpen Hotel; at the Dorchester hotel for the Make a Wish charity ball. Tuxedo Class are recommended suppliers for Selsdon Park Hotel.